The far-left filmmaker has never been more unfocused or disconnected from reality. Michael Moore’s “Fahrenheit 11/9” is a 129-minute call to shake the broken United States like an Etch-a-Sketch and start anew. Where to start, Moore demands? Stop Hitler 2.0, better known as President Donald Trump. How Moore can make those statements (and the one below) while retaining the respect of Hollywood, film critics and major media outlets beggars belief. 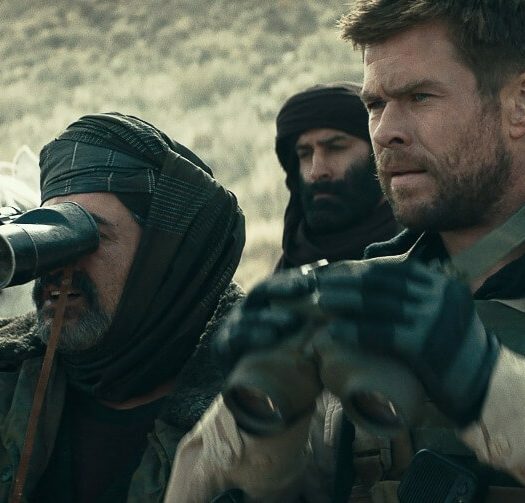 Here we are all the same, taking in Moore’s most relentlessly crude screed to date, and that’s saying something given his film canon. Trump ran for the presidency because of a grudge with “The Voice” judge Gwen Stefani. Proof? The teens behind the March for Our Lives organized the big day all by themselves. The Flint water crisis is 100 percent the fault of Republican Gov. Rick Snyder, who we’re told is evil, relishes hurting minority children and “ethnically cleansed” his own state. Moore has gotten away with this shtick for decades. He’s an Oscar winner, for Pete’s sake. His mantle brims with documentary honors. It’s a story for another day exactly how that happened. Even by the lowest of low Moore standards “Fahrenheit 11/9” is an abomination. When the film settles down and peddles generic socialist propaganda you can’t trust what he’s saying. It’s like hearing a deranged man’s rant and noticing a few syllables seem coherent. That’s particularly true when he speaks with parents dealing with the fallout from the Flint water crisis. In anyone else’s hands the interviews would be devastating. Captured in the middle of this traffic accident, you can’t help wondering what wool is being yanked over our eyes. Taken from a purely cinematic standard, it’s Moore’s ugliest film. He even uses stock photos with the watermarks still in place. Was the budget so low he couldn’t pony up for the rights? Are times tough for a socialist who once owned 9 homes, one of which sold for $5.2 million … in Michigan! He uses so many edits to manipulate reality it makes what the late night news crews pull look legit. It all starts on Election Night, a moment Moore makes us relive for no apparent reason. We see the usual soundbites, including how many pundits got the presidential election all wrong. Moore bends the truth right out of the gate, using deceptive editing to show Team Trump looking miserable to pull off the upset of the young century. “How the [bleep] did this happen,” Moore wails. He’s not actually interested in answering his own question. That would take insight, wisdom and an open mind. None of those qualities are showcased here. He flirts with the answer all the same, noting how Trump connected with the same blue collar workers who grew disillusioned with President Obama’s middling economy. Meanwhile Hillary Clinton’s own team told her to avoid some swing states lest she slump in the polls. Moore even hammers Democrats for denying Sen. Bernie Sanders his rightful place on the party’s presidential ticket. Once again he’s not telling the whole truth. Nor is Moore on target when he says The New York Times is too tough on progressives. But … if you select a few op-eds from the paper that seem to prove his point, ignoring many that don’t, you’ve got a perfect talking point. One of many bizarre tangents early in the film suggests Trump sexually assaulted his daughter, Ivanka.Trump. How does Moore know? Snapshots of them cuddling, with the father’s hands going on her hips a time or two, and him talking up her physical beauty. Any proof beyond that? Of course not! By this photo-centric standard Vice President Joe Biden is a sexual predator. Editor’s Note: He’s not. Let’s remember this is a documentary. Taken from a purely cinematic standard, it’s Moore’s ugliest film. Moore offers plenty of proof that Trump already is a dictator less than two full years into his first term. We see a montage of video clips where the press waits for the a tardy Trump to arrive. Need more evidence? Cue up the clip of him at a large MAGA rally, imploring the camera man to pan the room to show the size of the crowd. Even Hitler wouldn’t stoop that low. A large swath of the movie recalls the Flint water crisis. There’s plenty of blame to be spread around for the debacle, but Moore claims it’s 100 percent Gov. Rick Synder’s fault. We even get “old school” Moore shtick to prove his point, even while the facts beg to differ. First, he attempts to make a citizen’s arrest on the governor. Later, he shoots “Flint Water” at the governor’s modest mansion. It plays out as pathetic as it sounds, like a classic rock troupe begrudgingly playing their big hit for the umpteenth time. Naturally, Moore cozies up to the Marjory Stoneman Douglas students, eager to bank on their current fame. Unmentioned? How so many entrenched systems failed to stop the future killer. Let’s call them highly inconvenient truths that distract from Moore’s gun control narrative. “Fahrenheit 11/9” sneaks in a few surprises all the same. We’re treated to President Barack Obama’s arrival in Flint, Michigan, to address the water crisis’ fallout. Finally, the progressive cavalry is here! Except President Obama takes a theatrical swig of Flint water but barely swallows any. He also leaves Flint without leaving any concrete plans for the city’s revival, the film notes. That’s how you got President Trump, Mr. Moore … assuming we can even trust those facts that make Democrats look incompetent. FAST FACT: Michael Moore’s 2004 film “Fahrenheit 9/11” made an astounding $23.9 million during its opening weekend on just 868 screen. The filmmaker assembles a few nimble threads all the same. Our institutions are failing us, he argues, although Moore ignores how crooked the mainstream media has become as well as the collapse that led to the Parkland, Fla. shooting. Power corrupts, and even liberal darlings like President Obama are full of you know what at the end of the day, we’re told. Why, you could almost argue for a smaller, leaner government where officials have less power over our lives. He also argues for the power we have when we leverage social media for the greater good. That’s … right, actually, no matter if you agree with the results. The film swerves in another optimistic direction later in the film, highlighting renegade candidates to the left of Team Pelosi. At one point Moore even claims the U.S. is a liberal nation, pointing to a series of cherry-picked polls to bolster his claim. “Victory is ours,” he cries, as if he hasn’t actually watched his own movie. So how did the GOP come to control all three branches of government? He’s got the simple, stupefying answer: The Democrats compromised too much. We’re then treated to series of video clips of Democrats saying the word, “compromise” over and again. This is an Oscar-winning filmmaker at work? Meanwhile, the same compromise-obsessed Democrats have turned the political system upside down to derail an absurdly qualified Supreme Court nominee. What pushovers. Are there some cold, hard truths lurking within Moore’s latest? Probably. Would you trust any of it coming in this package? It’s like the Weekly World News spiking the football after accidentally nailing a story. 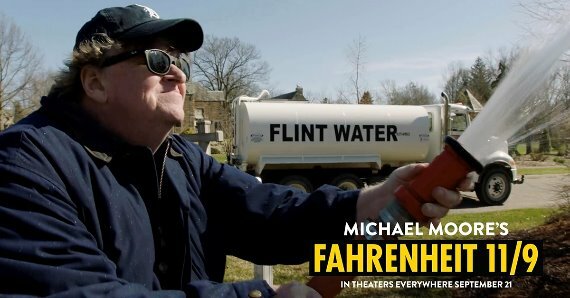 The film’s lead testing sequences are, by far, the most chilling scenes in “Fahrenheit 11/9.” These Michigan residents have real stories to share. One person who worked for the local government busts the bureaucrats for lying about the lead levels. Is that entirely the governor’s fault, too? We’re meant to assume it is, even though Democrats are well represented in Flint politics. Or is there more Fake News peddle by the Master of the Art? Let’s ignore the fact that recent studies have shown the lead levels, while elevated, don’t represents a fraction of the threat originally suggested. There are some accidental flashes of humor too. We see someone raging against Trump for shutting down questions at an event … after watching Ocasio-Cortez highlighted on screen. Remember how she famously banned the press from one of her events and used the Snowflake Defense when caught. The same holds true here. Moore injects himself not just into the narrative as usual but we see him shmoozing with his political enemies … even Steve Bannon. Moore says he was ready to take down Trump years ago when they appeared together on an old Roseanne Barr talk show. The producers suggested he play nice for the show’s sake, and he demurred. We also see Jared Kushner, Trump’s son-in-law, praising and promoting the Moore documentary “Sicko.” Why include this footage? To stroke Moore’s ego? The film also showcases Bannon extolling Mooe’s filmmaking chops. FAST FACT: Moore brieflfy worked for Mother Jones magazine during the 1980s. Moore is on more solid footing when playing “gotcha” with the media. We see CNN’s Jeff Zucker, when asked why his networked religiously showed Trump’s rallies during the campaign, stammer for a very long time rather than admit the truth. “It’s great ratings!” – he just couldn’t admit it. Next, we see a montage of journalists asking Hillary Clinton tough questions, followed by what sexual allegations the reporters were later accused of doing. Naturally, Russia comes up early in the film. Yet while Moore pins Trump’s election victory on “Russia and James Comey” his film otherwise abandons the Russian angle. 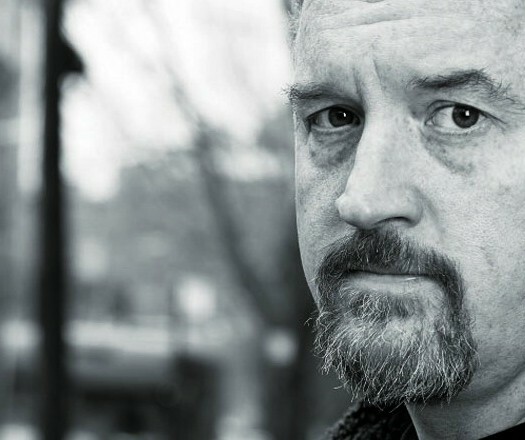 Has even the Left’s most vocal filmmaker given up on CollusionGate? The bumpy narrative eventually veers back to Trump, with Moore playing an entire deck of Hitler cards. Once again, loose facts, selective edits and Trumpian slabs of humor are weaponized to make us believe concentration camps are coming our way. “Fahrenheit 11/9” even shows footage of a Hitler speech with Trumps’ words dubbed into the audio. Yes, that’s the level of intellectualism on display. Sarah Silverman beat him to the Hitler punch two years ago, for what it’s worth. The film shows its cards late in the excruciatingly long running time. There’s not a public figure in America who seethes with hate for his own country more than Moore. He makes Sen. Bernie Sanders look like Lee Greenwood. To view the U.S. through such a prism you must ignore the millions of lives uplifted by the American dream, the countless aid we’ve shared with the world, the people freed thanks to our military and the role this country played in defeating Hitler 1.0 is ignored. Not to mention the U.S. has been very, very good to Moore,. You’d think he’d have an ounce of gratitude for the country that made that all possible. The opening credits for “Fahrenheit 11/9” show an artist creating a wax figure of Trump. The camera work is elegant, refined. It’s the most mesmerizing part of the movie and a reminder that Moore has a knack for arresting visuals. It’s all downhill from there, the depths of which have to be seen to be believed. HiT or Miss: It’s hard to imagine any clear-eyed liberal seeing “Fahrenheit 11/9” as anything other than a garbage dump of lies, misdirection and cartoonishly dumb arguments against both Trump and the American experiment.